Having followed all steps of this Plone tutorial, you will learn how to customize diazo Flow Plone Theme. 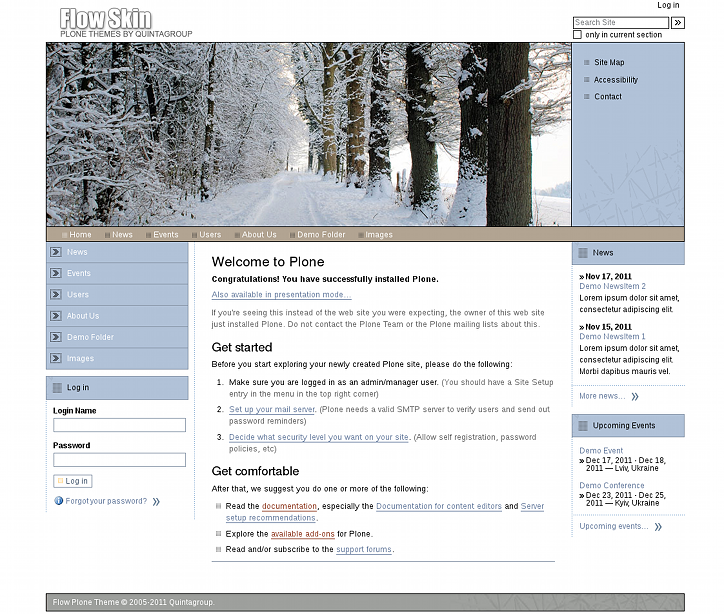 This tutorial covers customization of diazo Flow Plone Theme on a Plone 4.2 website. Front page of a Plone site with Quintagroup's diazo Flow Plone Theme installed on Plone 4.2 will have the following look. It has replaceable logo and top image: different on front and inner site pages. 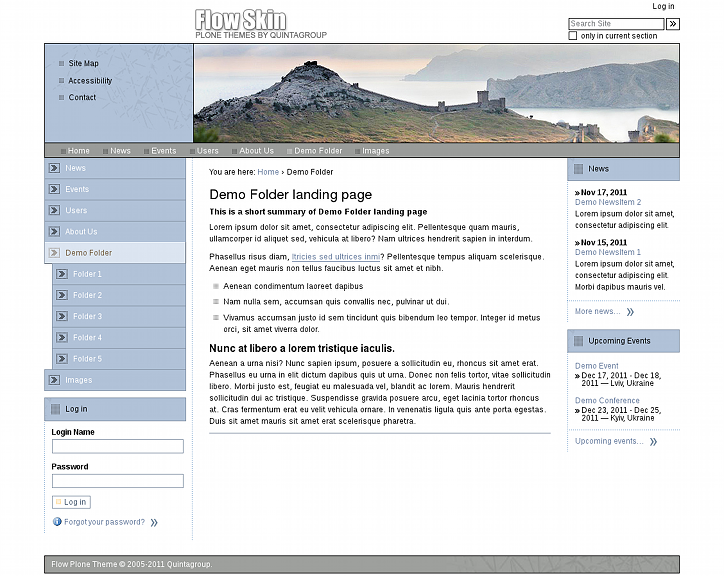 Inner page of diazo Flow theme has smaller customizable top image area. The theme also has customizable color scheme and width of portlet columns. This Plone tutorial consists of several parts, in which you will find explanations about how to customize diazo Flow Plone theme to your needs. Use the navigation on the right to navigate through all tutorial sections.